Sinful self-centredness expresses itself in spiritual leaders who take advantage of the power of their positions to teach legalistic error, manipulate others for personal gain, and use fear and intimidation to keep followers compliant. People may be perpetrators of spiritual abuse or victims. Abuse may occur only once or over a long period of time. It includes things people do and neglect to do. Spiritual abusers often major on legalism and minor on grace and mercy. Following Jesus does not leave us feeling beaten up and ashamed (Matthew 11:28-30). His yoke is easy and His burden is light. 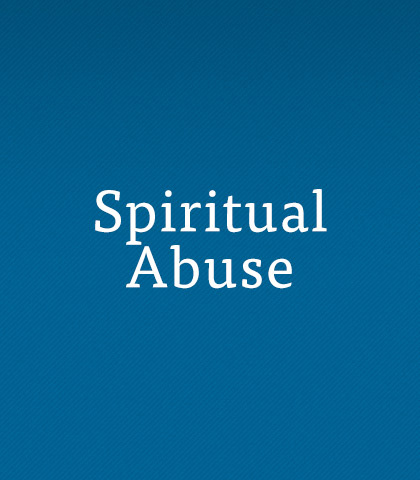 Following spiritual abusers leaves us fearful, guilty, and condemned. God accepts the sinner in Christ, just as he is and forgives him for all he has done and hasn't done. He doesn't require performance for acceptance. We are accepted because of what Christ has done, not what we have done. Ignorance is not bliss. When you’re unsure about what you believe, you become a target for false teachers. Biblical knowledge will help you take a stand for the truth in a lost and disoriented world. Chuck Swindoll says there's no one more miserable than the one he calls a "grace killer." This person can't allow room for others to be different, which always leads to condemnation.